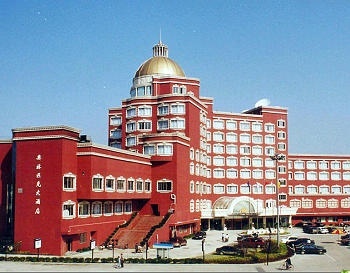 The Olympic Hotel (Wenzhou Aolinpike Dajiudian) is a four-star hotel located on Minhang Road, in the vicinity of the city center. There are various well-decorated rooms equipped with modern facilities like central air conditioning, international direct dial phones, safes, mini bars and fridges. There is also an executive floor. The restaurants offer Chinese, Western and local cuisines. The business center provides free breakfast and quick check-in and check-out. For recreation, there is also a fitness center, massage, sauna, billiards and a beauty salon.